Battery Boost shield is an extension board pin-compatible with all mikromedia boards from mikroElektronika that enables autonomous power supply using 2 x AAA batteries. Board features a compact monolithic integrated circuit MCP1640 that provides +4.0V power supply voltage. Module is a Step-up DC/DC Regulator with up to 96% Typical Efficiency. On-board prototyping aread can be used for placing additional components, thus adding new features to your favorite mikromedia board. 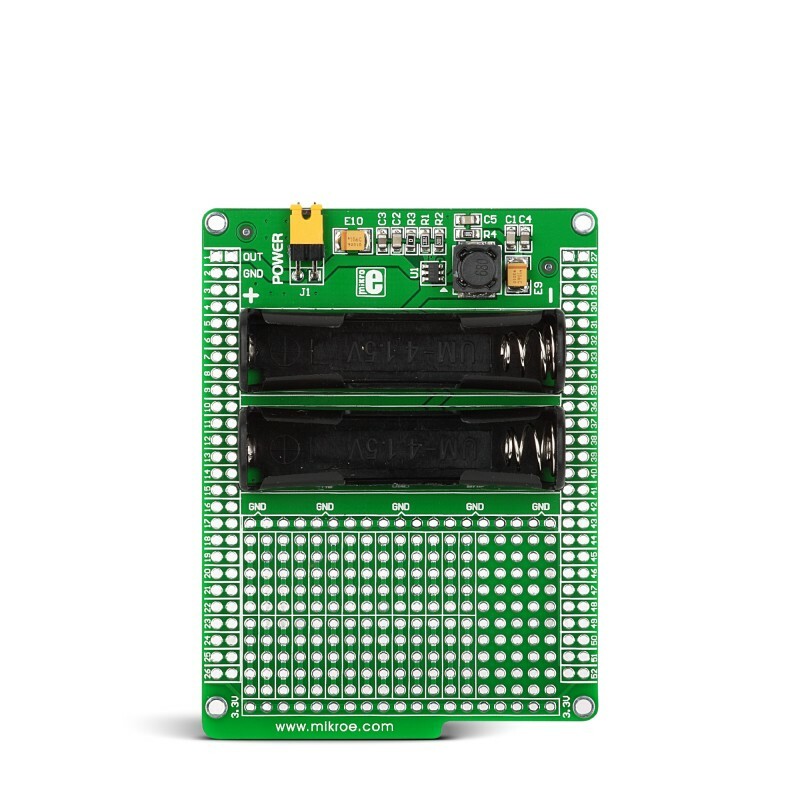 Shield comes with two convenient 1x26 stacking headers.